I wrote a “parent IEP attachment” and asked that it be included with my child’s IEP. The special education coordinator refused. She said my input could not be attached to the IEP because of school policy. Can they do this? Is this written in the law? How can I deal with this? Of course not. 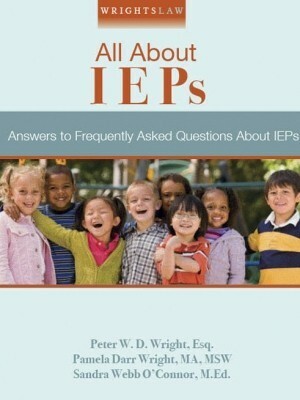 Nothing in the statute or regulations prevents you from adding input to your child’s IEP. Just the opposite. 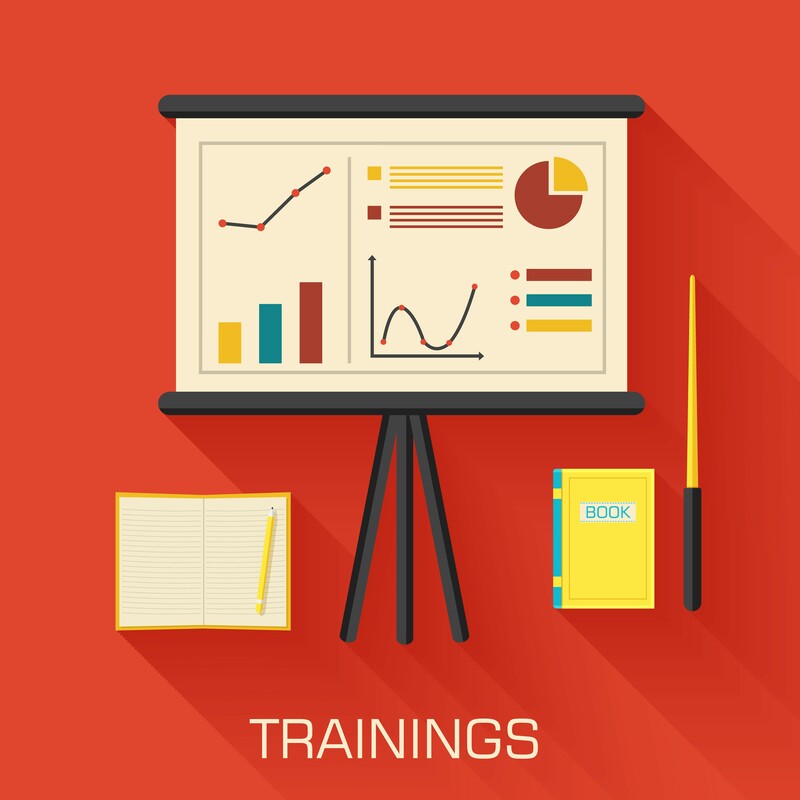 As the parent member of your child’s IEP team, you are an equal participant in meetings. 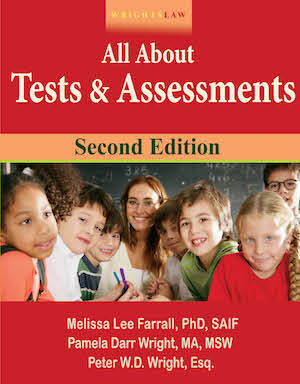 You provide essential information about your child’s strengths, weaknesses, and needs. 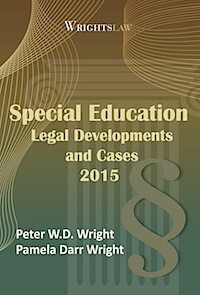 You also share concerns about your child’s special education program. Schools must do all they can to ensure that parents participate in the IEP process. 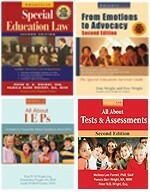 The law is very clear that parents have the right to participate in the meeting where their child’s IEP is developed. If your request is accepted, add a notation on the form that states who is in charge of initiating the proposal and the start date. As a parent member of the team, see to it that the other IEP team members state their reasons for accepting or rejecting each proposal. Then add this information to the form. Here is a sample of Judy’s Prior Written Notice Form — a great example of KISS! Download the Prior Written Notice Form as a pdf document. …or, download as a word document. 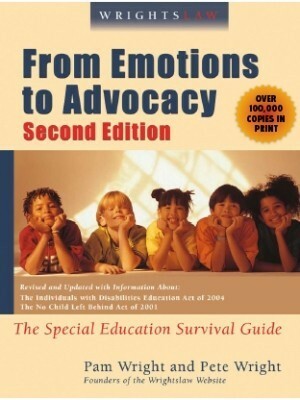 The Parent Advocate, includes more excellent articles and tips for parents and advocates. 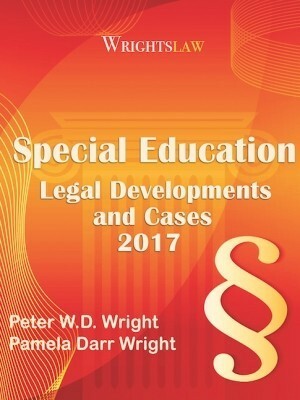 This entry was posted in Advocacy, FAPE, IDEA 2004, Parent Rights & Responsibilities, Strategies and tagged IEPs, Parent Rights, parental role, Prior Written Notice by Wrightslaw. Bookmark the permalink. I tried using the form in this article – District Admin refused to sign off on denials in meeting. She said she had as many rights as I have and she would not sign. This of course because they twist the facts/request later in PWN if provided. District ADmin has also denied my request for an Attachment multiple times citing they are only required to consider my concerns not necessarily document them. I cited IDEA regarding IEP needs to address parental concerns but they didn’t care. State Office of Education said nothing in IDEA requiring IEP Attachment so not required. While I appreciate your suggestions – they don’t always work and it’s sad that parents would have to file Due Process or an OCR complaint to get such a simple thing resolved. Any suggestions for people like me who continue to run into roadblocks. I can’t stand it when administrators say that! Policy vs. Law — If school district employees tell you that something you request for your child is “against district Policy,” ask for that policy in writing. 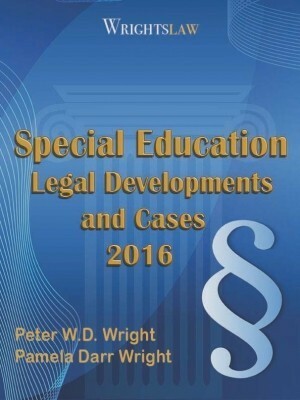 District employees sometimes confuse procedures – which are non-binding practices the district is accustomed to following – with policies, which must be approved by the Board of Education and must conform with special education laws. Odds are, when you ask to see the Policy in writing, they won’t be able to give it to you, because no such policy actually exists. I’m printing this out in duplicate! I have a feeling we’re going to have not just one, not just two fights, but three fights on our hands this year. We are having placement issues with our twins and have had related service issues with our youngest all year. Thank you! As an equal member of the IEP team, you can request an emergency IEP meeting for the IEP team to discuss your daughter’s safety while in her local public school. The team should consider the pros and cons of moving your daughter into a school other than the one in her community. It is appropriate to discuss the school’s anti-bullying process for the school your daughter attends as well as the school that you would like to transfer her to. Just playing Devil’s advocate. What if the school allows you to choose the neighboring school that your daughter will be moved to, she adjusts to the significant change and then the other child’s parents decide to move into that same community. Help I need help getting my daughter transferred from her home school. My daughter had been attacked by this girl who had just recently attacked my daughter and her grandaunt in the school counseling office. I need to transfer her and I was told that the special education committee had not yet decided what was in my daughter’s best interest. Please help me! There are a number of systematic flaws in exercising your child’s rights under the IDEA. Requesting due process without legal representation is not a wise use of time. The notion that a due process hearing is “FREE” is a sad misunderstanding that most parents realize all too late. 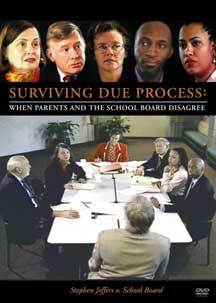 Due process hearing officers are not paid for by the parent. That is the only free part to the parent. The school district arranges for the Hearing officier to be paid. ……Think about that………..
Expect to pay thousands for an Education Attorney to represent a child and don’t expect the search for an attorney to be easy. I’m not suggesting that you back down. Quite the opposite; Be prepaird and understand what you are asking for before requesting a due process hearing. I want you to put the shoe on the other foot, you are the school district….a parent has documented to you, in writing that you have lied, misquoted the law, repeated “what you have been told” and said that you do not have to do this or that…..would you want to go to due process with that kind of documentation against you? NO, you wouldn’t. My point is a parent lays the paper trail just as they would if they knew they were going to due process, in hopes that they don’t have to go. The school district usually wins in due process because the parent does not have the documentation to back up their claim, But when a parent has the data to back up their claim…….the school district does not want to go to due process……..it is the sweetest song I ever heard!!!! The kid WINS!! Document, document, document, Here is the deal Juan, the data does not lie! Is the playing field level? No….unless the parent knows to document every single thing that is said and done. And I do mean EVERYTHING documented back to the school. Documentation and data levels the playing field. It is the only way. I work with parents every single day, is what they are telling me happening? Yes. Do they have the data and documentation to back it up? Generally, no. It is not until a parent begins documenting every word that is spoken and every move that is made that the playing field is leveled. It WORKS! I came across some stats about the ratio of wins and losses during Due Process. The startling thing is that without an attorney you don’t stand a snowball’s chance of winning. I believe that uneven playing field is discriminative to say the least. 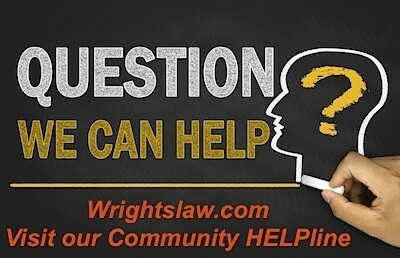 Is there a way to bring the question of discrimination of the IDEA into a federal court. Think about this the intent of the IDEA is the children and what effect they can have on society. If an attorney is the only way to see to it that IDEA lives up to it’s intended goals isn’t the spirit of the law lost in translation. I can’t afford legal assistance and i should not have to after all it’s child like my son that gave birth to this new industry. 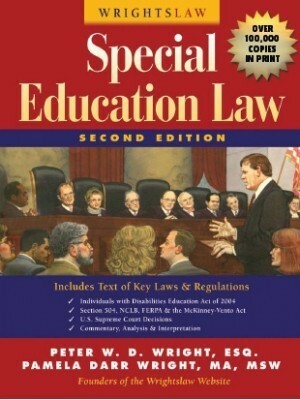 Education Law. I need to hear from all of you who see the parent’s role in Special Education being slowly phased out.